No, I’m kidding! If I didn’t know better, I would think that! So, you know I’m at my dad’s house this weekend, well, I think I told you…anyway. My dad is at LaLa’s, so I’m on my own in the house until Monday, no biggie, grew up here, it’s all good, making plans and seeing friends. That being said, you can hear some of the things that happen in the other house, kind of like an apartment, but the walls are not that thin! I had an apartment that I could hear the person next door brushing their teeth, that was a bit much. Here, I remember hearing the neighbor’s son playing drums in the basement when I was a kid. I’m sure that’s not unusual. Now, what was unusual and since I haven’t spent much time in this house alone since I was a kid was hearing people walking up and down the stairs and door opening! I don’t hear as much during the day, there are so many other sounds happening, but at night, with the lights off and no tv or music, it’s quiet. 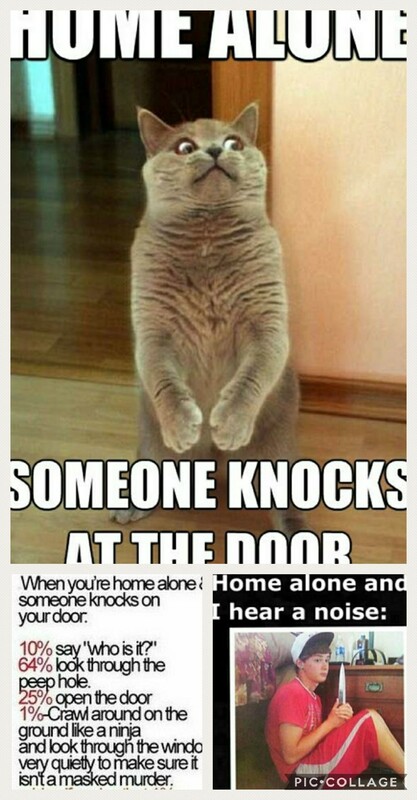 Then I hear people running up and down the stairs and doors opening and closing. For a split second, I was like, um, then, duh! The house is the same, just opposite, so the stairs are just on the other side of the wall, pretty much outside my bedroom. So, the house is not haunted, it’s just the people next door, running up and down the stairs and opening and closing the doors. Or is it? Muwahahaha.